Instrument Suitable for the Hawk! 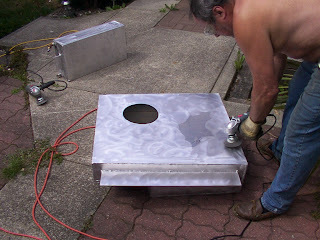 Werner has been preparing the instrument panel so that we can POP it in and out. This week he is on a cruise to the Caribbean. Have fun and enjoy the R&R. 2008 SPEEDWEEK BEGINS in the morning. 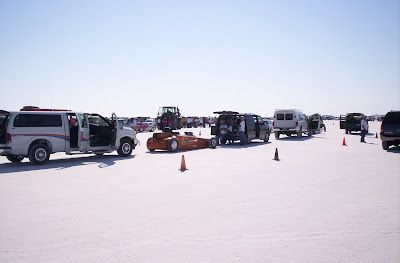 Monday morning the 60Th Speedweek will commence on the Bonneville Salt Flats. There will be good friends, great people and very fast vehicles and sadly we will not be counted amongst them. As you all know we are not funded by any large cash sponsor but rather a lot of great companies and individuals who donate time and materials to the GOLDENHAWK project . Therefore it is not always possible to meet deadlines the way some would like, but we are very near to completed and hope to make the World finals in October. THANKS TO THE SPONSORS AND CREW FOR ALL YOUR CONTRIBUTIONS, especially Kevin Knox, Werner Sprenger and the Aggressive Tube Bending guys. JCB DIESELMAX streamliner driven by Andy Green in 2006 completes a check out pass. K9 Security Briefing in Session? 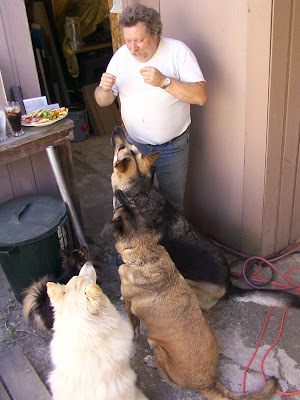 School is in session or Pavlov's theory works. Just check out the attention Kevin is getting. (The sausage may have.something to do with it!) 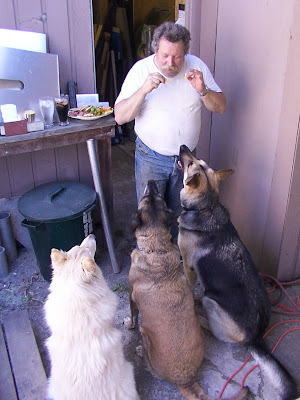 Dogs l-r Tucker, Jake , Tinkerbell and Barklee.) Notice that none of them are starving. Cody came to work wire brushing the tanks and performing various tasks . Now he is getting older (18 this week) he is employed full time in the construction trades. He is such a great young man, very skilled and learns quickly. I am proud to have him as a friend and co worker since he was 12!!!. Better view of the filter set up. 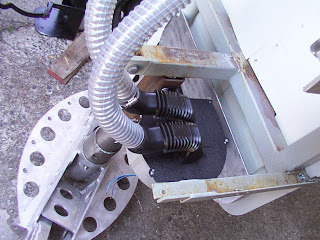 The progrogess of the Driver Breathing Systems is shown here. 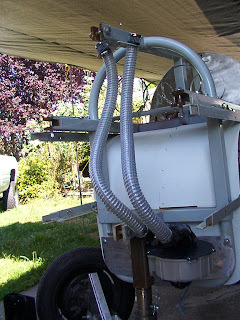 The filters take in fresh air from the tail section of the Goldenhawk and the blower pressurizes it with the two speed squirrel-cage fan. 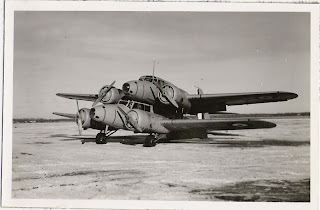 Then sends it to the cockpit. I will show you the custom fittings that Kevin made with his FDM rapid prototype machine when take the photos. Very slick!! I talked with Lee Kennedy (tech SCTA) regarding the possibility of breathing the agent from the Fire suppression system and he suggested using a fresh air supply. These little beauties will be sitting in the tail section away from any fire and the system will filter fresh air to be pumped into the drivers helmet via a 12volt blower, creating a positive air flow to breath. Thanks for the suggestions Lee! 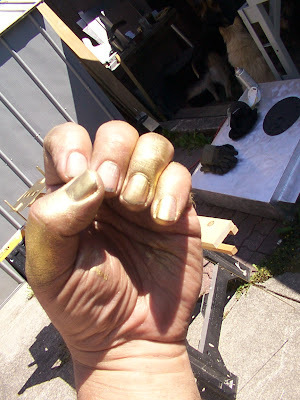 "TRIBUTE To The GOLDEN HAWKS"
as seen here in its development stages. They will be for sale numbered and signed by the team pilots. 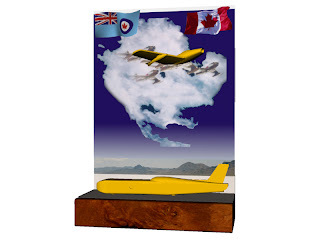 The price will be rebated to $100.00 to the first 100 purchasers in honour of the 100Th anniversary of the air force. Email http://www.kevinknox.com/ for further details and deliver schedule..
Kevin Knox and I delivered the power train frame to Piers' shop to prepare for the final install of the race engine (stage 3 motor single turbo) this week end. Here you can see Kevin Knox's bright white arm as he points out the same type of throttle we will use. I spoke to OTT Industries and the power drive ,o.d and the steer/axles will be ready, Thursday. 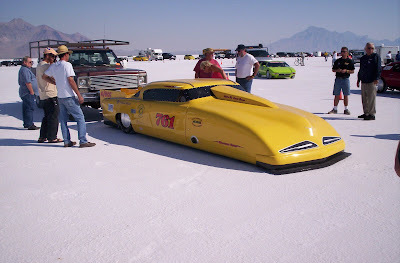 I will pick up the special landspeed streamliner designed torque distributor tomorrow and hopefully get a meeting at Cool-It and at Eagle Machine with Steve Green. Steve is Bonneville tech inspector. Apex Finishing fulfill their sponsorship! Apex Finishing Ltd From BULLER AVE in Burnaby are definitely the place to get your products powder coated. 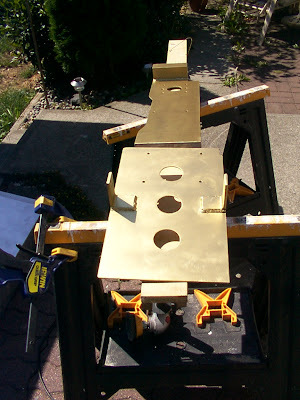 Their work is TOP OF THE LINE and they delivered on time with a great price. Thanks go out to Brian Johnson and the tech crew who actually do the coatings. 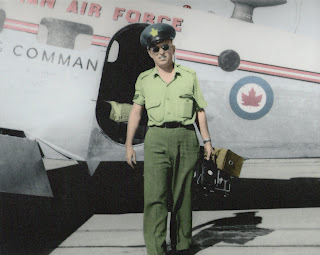 The chief of the photographers at Saskatoon and the best boss/leader/superior NCO, an adventuresome young man could get for a mentor! I am writing a short story about my memories of Ted. As soon as the Goldenhawk is complete. This was the very first time saw the GOLDEN HAWKS and when I got the stars from my eyes. 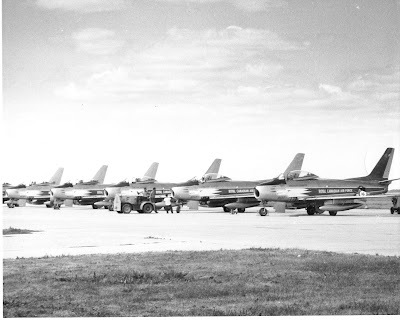 I was dispatched to film the arrival of the GOLD HAWKS when they arrived in RCAF Station Saskatoon 1961. At that moment the "SCHOOL of PR" WAS OPENED IN MY MIND!